The fourth facet of being an Authentic Leader is leading a principled life. Knowing your own core values, whether personally or within your organization, and living by them, is being seen as a root success factor in life and work. There has been a great deal of talk about values over the past years. While they have always been behind human motivation, they seem to be more evident everywhere we go, especially in our current political scene and in corporate America. Exactly what are values, and why are they important? Let’s explore these questions and offer a method for you to reconnect with your core values and better understand others in the process. Values are the most powerful form of motivation. Values are the “what” we do to lead fulfilling lives. Values influence every decision we make from where we go to school, where we shop, where we live, who we work for, how we spend money, how we choose relationships and raise our children. Values are the inner rules for how we live. If our goals, priorities, careers, and lifestyle choices are not congruent with our inner rules, we get stressed and out of sync. Clarity and commitment to our values creates purpose, vision, synergy, clear focus, energy, excellence, and power. Values are important because most of our actions, whether we know it or not, are based on values. Values lead to attitudes, viewpoints, and opinions that lead people to act in certain ways. If you want to know why people are acting the way they are, study their values. People are spontaneously energetic with respect to things that interest them, but the core of motivation lies in valuing something. If you value something, you try to attain it. Get your values right, and all other factors will fall in line. People are increasingly engaged in the search for meaning, purpose, inner authority, peace, truth, love, compassion, worth, dignity, wisdom, and a higher power. They seek a sense of unity with others and the means to express themselves. Core values are the principles that govern how individuals, groups, and organizations operate. These values are the glue that holds people together during times of chaos and unpredictability. Values steer people in their right direction. Individuals, groups, organizations, and cultures share core values. The important point for each of us is that knowing our own core values is a critical element on the road to personal authenticity. Our early values are instilled in us by parents, family, friends, schools, religions, and our society at large. As we have discussed in previous blogs, beliefs and values come from past programming. Unless we, as adults, take time to do a deeper dive into what is really true for each of us now, we just keep living from the past and other people’s values. This is often the root of internal disharmony, stress, confusion, unhappiness and failure. If we don’t take charge of clarifying and living by our own values, then we are stuck and live life less fulfilled. People often confuse values for what they “are good at” or most qualified to do. Values are more specific. They are what we have chosen over a lifetime and choose to hang onto for life. This is where the power of values comes into play in making major life decisions. Values are your prime motivators. Knowing them and living by them is the natural guidance system that will lead to a happier, healthier you. 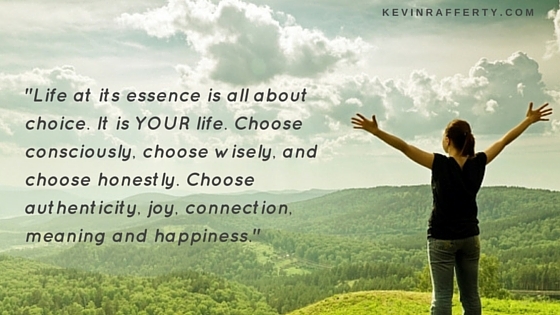 They are your system for choosing the things in life that serve you best: relationships, jobs, homes, and the like. Knowing your values will empower you and free you to make the best decisions for yourself. Values differ from virtues and states of being. Values are motivators, and virtues are the moral and ethical compass for how we live. States of being are the root mental, emotional, and spiritual states we naturally have available to us and desire to experience, which leads to happiness. Which virtues and states do you resonate with and express? Charity, Compassion, Courage, Excellence, Faith, Forgiveness, Goodness, Honesty, Hope, Judgment, Perseverance, Prudence, Righteousness, Responsibility, Self-Discipline, Temperance, Tolerance, Work. Awe, Comfort, Freedom, Gratitude, Happiness, Health, Helper/Service, Humor, Joy, Light, Love, Passion, Peace, Sharing, Truth. Virtues and states of being flow into our values. Values motivate us into action—through our actions we exhibit virtues or vices, creating positive or negative states of being. The key states of being are what we all want to experience, feel, and share with others. Virtues are the behaviors we can choose that help us live a true and authentic life. Values are what we treasure and are passionate about, and influence us into action. While we may feel that we treasure or value states of being such as love, peace, or freedom, they manifest only when we live a virtuous life that is in alignment with our values. Some may feel that the virtues of honesty, courage, and compassion are values, but they are behaviors that we can choose to display in any situation, and are universally available to everyone. Virtues and states of being have positive and negative aspects. We can choose behaviors and develop characteristics that we call vices, while negative states of being are called fear, anger, worry, doubt, blame, guilt, and depression. We always have choices, and our choices result in habits of behavior, character, and states of being. Look at your patterns, and see how your life reflects virtuous acts and positive states of being. Taking quiet time to reflect and clarify your values is one of the most powerful, loving, helpful and meaningful activity each of us can do for ourselves. I was introduced to the Socratic Method for deducing my core values over 20 years ago, and my life was instantly transformed through the clarity and usefulness of the exercise. I invite you to click on the link below, which will take you to the exercise I have in my book Wake Up, Get Real, Be Happy – Becoming Your Authentic Self, that will walk you through the steps to come directly in touch to your own core values. Knowing the unique blend or core values you possess is powerful. You can consciously use them in all decisions you have to make, and when your choices align with your values, you become more alive, more aware, more connected, more effective, and more fulfilled. Too many people think they know their values, and often drift in the way they look at things and make decisions. Those who know their core values live more purposefully, more peacefully, and more prosperously. The opportunity is right here – right now. 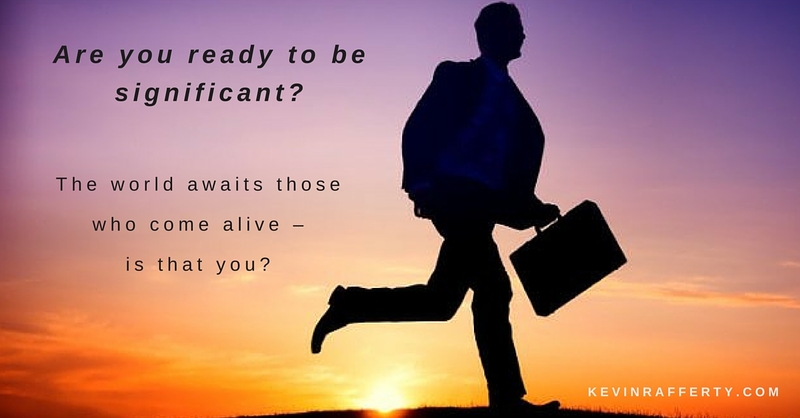 I invite you take this most crucial journey into your own authenticity. Enjoy your journey! 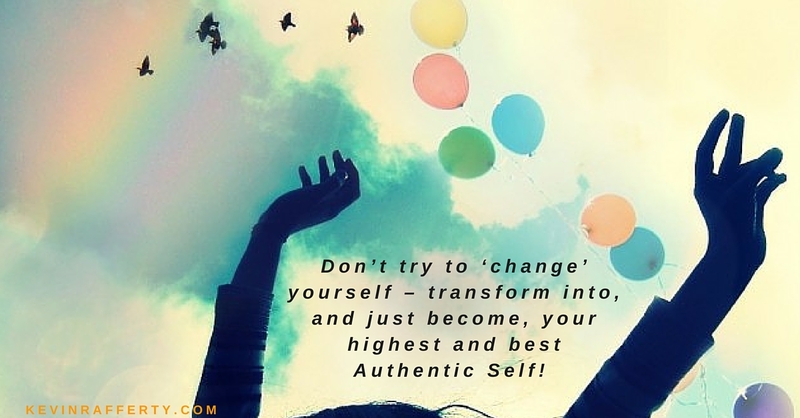 Don’t try to ‘change’ yourself – transform into, and just become, your highest and best Authentic Self!